Let's face it, you've had a food relapse. Here's a workout to get back on track. Staying on your diet and workout plan is hard. Whether it's the holidays, birthdays, or the big game, there are plenty of tempting excuses to indulge. If you've fallen prey, don't worry -- we've got you covered. Just remember these two keys as you try to control the damage. Trying to offset your binges with an excessive caloric restriction will only set you up for failure. Basically, your body will think the end of times is near and will shut down. Once that happens, your body will desperatley cling to fat. No matter what you ate, go back to your regularly scheduled diet once you're done splurging. Skipping meals is a definite no-go. Start moving to put those extra calories to good use. Those interested in fat loss should do a dumbbell circuit. This one is so short and effective you could do it over your lunch break! The setup is as follows: Do 10 reps for each exercise with no break. You can rest three minutes in between sets -- this will jumpstart your fat-burning. 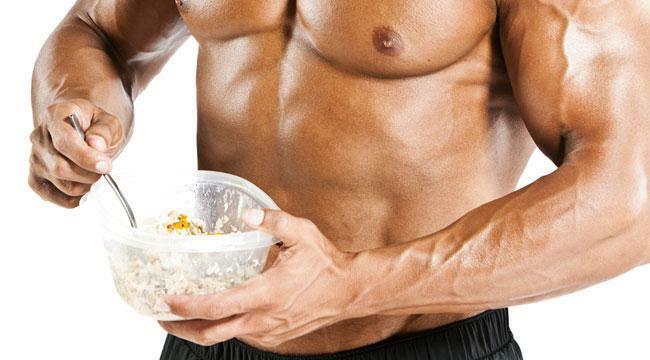 If you are in the muscle-building camp, those extra calories could help you pack on some size. Try a whole-body workout by pairing compound movements with smaller ones. Do one set of an exercise, rest at least 60 seconds, then do a set of the following exercise until you reach the prescribed number of sets.